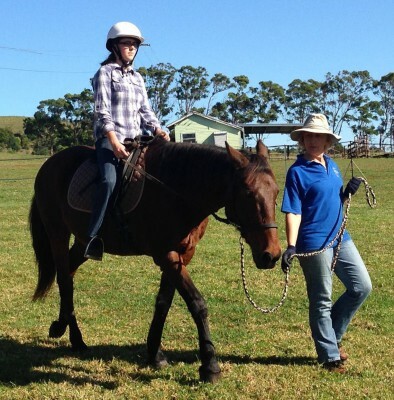 Lessons and equine experiences for our disabled community members are supervised by qualified RDA (NSW) accredited coaches who are extremely experienced and well trained. They are supported by our wonderful volunteers, who together, provide a safe and caring environment with activities suited to skills, while having loads of fun. Lessons are held Tuesday, Wednesday and Saturday mornings during school terms. For more information about riding, see our Q&A below. Our beautiful Centre is available for private hire. We have an undercover arena, round yard, paddock arena, change room, toilets, permanent yards (able to hold up to 10 horses), barbeque facilities, and ample water. What age can riders start from and up to what age? Riders under 18 need their parent's consent to ride, and we have provided lessons to riders from 18 months old and upwards. All riders provide a form with approval from their doctor. This form is available by contacting us. What's the maximum weight? The maximum weight of a rider is determined by the size of the horse carrying them. In our case the maximum weight would be approx. 80 kgs. This is also determined by the level of disability and on a case by case basis. What type of disabilities are catered for? RDA (NSW) programs cater for people with intellectual disabilities, physical disabilities, injuries resulting from accidents, cerebral palsy, spina bifida, muscular dystrophy, multiple sclerosis, Down syndrome, visual and hearing impairments, autism and amputees. Can people in wheelchairs be serviced? This is determined by the level of disability, since we don't have a hoist, the rider must be able to stand briefly (with support). What are the fees to be a rider? Our an annual registration fee of $85 provides full insurance. Our lessons which run during school terms also cost $12 per lesson per week. We provide boots and safety helmets. Where can I get more information? Feel free to call 0498 040 022 or use our contact page.